The Ordensburg Sonthofen is one of the NS-Ordensburgen built during the Third Reich in Sonthofen (Oberallgäu). 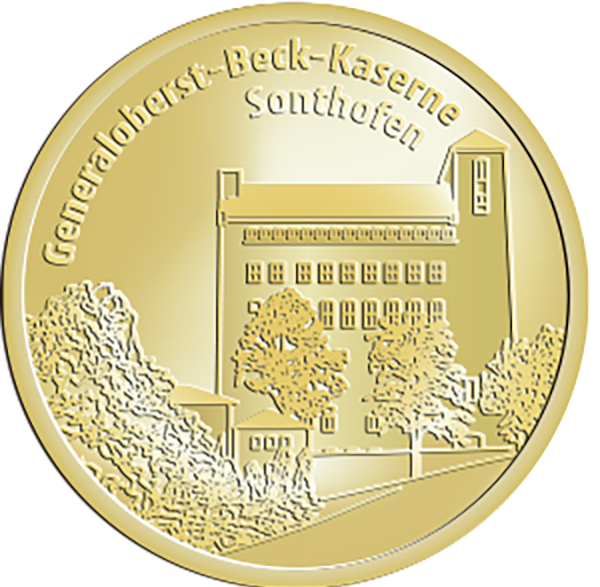 Currently it belongs to the Bundeswehr and is named Generaloberst-Beck-Kaserne. The complex was built in 1934 as NS-Ordensburg Sonthofen by the German Labour Front (Deutsche Arbeitsfront, DAF in short) for the NSDAP. Three NS-Ordensburgen existed: Ordensburg Krössinsee, Pomerania; Ordensburg Sonthofen, Allgäu; Ordensburg Vogelsang, Eifel. A fourth one was planned at the historic Castle of the Teutonic Order in Malbork, in East Prussia (currently Poland). It was designed by architect Hermann Giesler as a school for the education of elite Nazi military and party echelons. After the war French troops first took over the Castle. Later the US Army located the training center for the US-Constabulary force there.